Creating a Healthier Community…Starting with You! In order to age gracefully, we need to move our bodies regularly! Now I’m not just talking about daily activities such as: up and down the stairs with laundry, gardening, or walking to your car. I am referring to a bit more intensive body movement. Of course, this definitely depends on your current health status. If you are limited in specific ways or have certain conditions, be sure to consult with your practitioner first who may recommend you to a physical therapist or exercise physiologist. Just do the best you can with what you’ve got. Also, if you have not been working out in quite some time, start small and slowly build your way up. Endorphins, natural mood elevators, are released. A feeling of centeredness is often felt from those who regularly exercise. Danay has been facing many struggles along her weight loss journey. She is finding out about herself more and more, and finding out how to deal with situations that come up appropriately. I am so proud of her and her success, and each time we meet I encourage her to not undermine her small successes! I reminded her that even though her weight loss has slowed down, she still is losing weight. Have you ever felt like you walking through the ice? After losing about seven pounds per week during the first couple months, I have slowed down to the point where I’m losing two to three pounds per a month, I have got discouraged, yes, and sometimes I think I’m never going to reach my goal weight. I found out that I was relying on the wrong motives. Even though I know it is not only about losing weight, but also about being healthy, the reality is that I want to get to my goal weight. The closer I get, the farther away it seems. This was hard for me to accept, but I found myself eating out of emotion if I got sad, discouraged, or sometimes even excited. No matter which way my emotions went, I was trying to fulfill something with food. The emptiness I was trying to fill with food was still there after I ate, and I felt even worse. I could not deal with this until I accepted that I eat based on my emotions. This month more than anything I have been trying to deal with this. I have to ask myself, am I hungry? If the answer is no, I find something else to do like, praying, listening to music, or reading a good book. Have I been 100% successful? No. But, it’s getting better and the most important thing is that I recognized what I was doing and I’m dealing with it. This month has been what I consider to be the hardest month of my journey so far. I have been faced with hard decisions and received bad news. There is lack of compliments about my weight lose, because people get use to the change and the small changes seem to be ignored. I have to change my mindset and realize I am doing this for me, and not anybody else. I have a new saying, I refuse to rely on compliments or ignore the small changes and above all, I refuse to give up. I’m determined to lose the weight I need to lose and keep it off. I will say to those that are struggling with the same things, it is important to have some kind of support. For me it is my faith in God. He is the one that give me the strength to keep going. And, Laurel, she is amazing and helps me to keep on track. I always learn something about healthy foods from her and she gives me enormous encouragement. In other words, keep yourself plugged into the right sources, it is crucial in any journey. Danay has experienced a little rut in her goal to lose weight. This is completely normal. You may have been there before yourself. It’s very important not to beat yourself up when these moments occur, but to forgive yourself and try your best to get back on track. Do not sabotage the progress you’ve made so far. Danay writes about the struggle to pull herself out of the rut. While she has not lost weight this month, her motivation to get back on track is most definitely inspiring. This month has been full of struggles with my nutrition; I have slipped into my old habit of eating. I started to eat fatty food one day and after that, it seemed like I could not get back on track. I felt stuck and I started to procrastinate with healthy eating and it seemed like I did not care about my health. I felt really hopeless and I was afraid. The day to meet Laurel was coming closer and I was afraid to get on the scale, because I knew I had been eating really badly. The day before meeting with Laurel, I started to make excuses why I could not meet her, but my real motive to cancel my appointment was because I felt like a failure. Finally, I decided I could not run away from the person and the place where I have received so much support and I have been able to learn about healthy eating. I went to meet Laurel and I was pretty sad. I’m so glad that I went because Laurel was encouraging and I felt like I was not alone in my journey to a healthier life. I’m happy to say that I came out of Laurel’s office fired up; I regained hope. Laurel helped me to understand that my bad choices in the past days could be seen as a learning experience and that I can get back on the path to a healthy life. Even though it has not been a great month, I only gained one pound because I kept my exercise routine going as well as my healthy breakfast of a protein shake. I think anyone that is fighting a battle needs support and I have received amazing support from Laurel and have found in Natur-Tyme, a place of comfort and trust. I have developed great confidence in the products that I buy and I feel secure when I go there. With all of my heart, I urge those who are fighting the same battle to not let your mistakes bring you down; use them to have a better day tomorrow and never, never run away from your main support. Be open and let the person who is supporting you help you! Do not be afraid to talk about your mistakes because when they are brought to light, they can become amazing learning experiences. 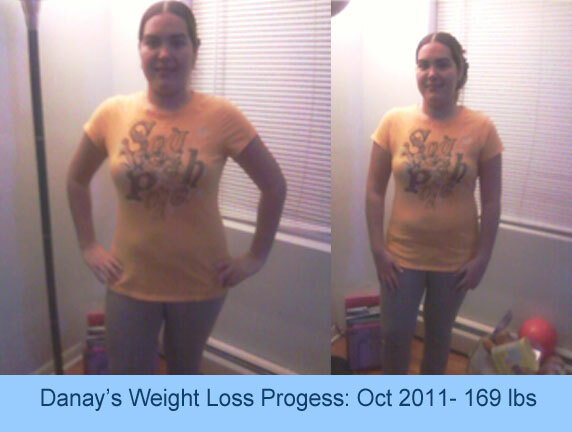 Well, it has been a little over two months since Danay started working with me, and she has lost a total of 26 lbs. 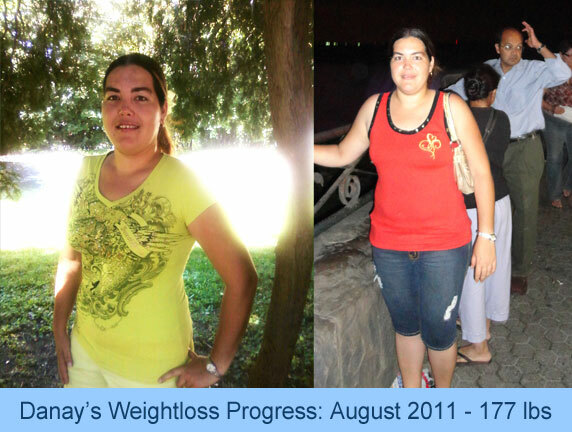 She has made huge strides and has been very successful with all of her lifestyle changes. She very rarely eats her traditional native dishes anymore, which consist mainly of white rice and plantains. If she feels she needs a snack, she honors her hunger and goes for something like strawberries and almonds. She is trying to focus on eating “live” foods….foods with life. She feels this helps her to choose foods that will not just fill her, but nourish her and give her energy as well. Living in Central New York we don’t tend to see much in the line of sun. So when summer arrives, people seem to have more of a spring in their step. Out come the convertibles, bicycles, rollerblades, shorts and t-shirts, and yes even for some….bikinis! We start to want to feel and look our best. I was inspired to look more into detoxing through foods after reading an article in Whole Living magazine. What better time to detoxify and rid our bodies of the extra burden we may be carrying! There are several ways to detoxify, and there are several organ systems in the body one can focus on to detoxify. At Natur-Tyme, we have many options to choose from. There is everything from a single supplement for whole-body cleanses. Cleanses can range from 3 days to 30 days depending on what you are looking for. Many cleanse kits urge the consumer to steer clear of processed foods, artificial colorings/flavorings/sweeteners, refined sugar, caffeine, alcohol, and common allergens (wheat, corn, dairy, soy, eggs, nuts, etc). One should try their best to avoid these in order to optimize the cleansing process. Otherwise, it has to deal with the extra burden of detoxifying more of what is coming in through diet. Specific vitamins, minerals, plant nutrients, and amino acids aid in facilitating the removal of toxins. Therefore with any cleanse, I recommend to customers who are adhering to the above avoidances add in other foods and spices to help maximize the cleansing process. 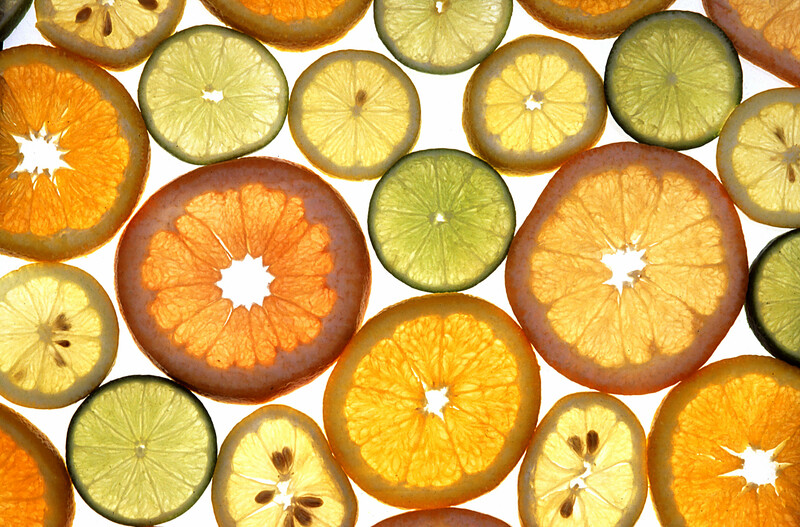 The citrus fruits (lemons, limes, grapefruit, and oranges) contain limonene, which supports the liver’s detoxification process. Another vegetable that is very powerful in detoxification is beets. Beet fiber seems to be particularly health-promoting. Pectin, a soluble fiber in beets, binds toxins, heavy metals, and excess hormones that have been dumped into the gut from the liver. The toxins are eliminated instead of being reabsorbed. Sulfur-containing foods such as garlic, onions, and eggs provide substances that prepare detoxified substances for excretion. Spices like cucumin, found in turmeric-based curry sauces, support the liver-detox enzymes. As you can see there are several ways to detox the body. Whichever way you choose to cleanse: through kits, foods, or both ….it does a body good! Remember to work on reducing stress, get appropriate exercise, and get quality sleep. These are important to the cleansing process as well. For more questions on the best way to start cleansing, come in and talk to our staff. I am a Registered Dietician and Wellness Educator at Natur-Tyme. At Natur-Tyme, we offer free nutritional consultations with professionals like me. This is the beginning of one customer’s weight-loss journey. Enjoy! Danay is an extraordinary young woman. She’s a counselor. When I first met her, she was sitting in on a session with a client of hers. Later, she said she would like to make an appointment for herself. She explained her situation to me that she wanted to get healthier and lose weight. She told me she had been struggling with weight issues for at least 10 years. She had tried many diets and lost weight, but she could not maintain the extreme changes so the weight crept back on. We chatted for a while about her lifestyle, job, stressors, exercise plan, and eating habits, and from there I gave her a few small changes to make for the first two weeks. I let her know that the key is: small consistent changes that you can maintain for a lifetime. I am excited to see her through this journey. She has decided to train for a late October half-marathon. We will document her journey once a month through her BIG race day! 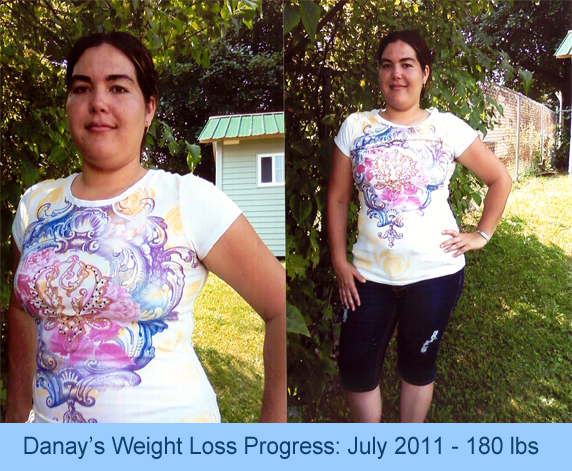 Here is Danay’s journal of her progress from mid-June through the end of July. When I came to Laurel, I weighed 203 pounds and I was pretty hopeless about losing weight. I had tried several diets and while some helped a little bit, it wouldn’t take long for me to regain the weight and more! The diets were so hard and out of balance that I was always hungry. I felt miserable because I had to eat things I did not like all the time. Laurel’s two initial tips were for me to not eat late at night and eat a healthy breakfast. It was hard for me to follow these small steps consistently, but sill, I lost three pounds in two weeks. I did not want to go back to Laurel because I was so used to people telling me I had no willpower. I decided to go back to her though and she appreciated my tiny progress and encouraged me to keep going. I told her that I did not like the protein powder she recommended for breakfast, so she found me a strawberry-flavored alternative, which I love so much and I drink it every morning! Laurel’s recommendation to take B vitamins instead of coffee has helped increase my energy level, which definitely helps with motivation. Laurel also showed me some protein bars to eat when I’m on the run so I always have a healthy option with me. I was surprised at the variety of choices and how good they taste. Laurel encouraged me to keep a food journal that she reviews when we meet. It helps her to advise me which foods are a good idea to continue eating and foods that serve as road blocks toward reaching my goal. She never uses the statement “Do not” and has the amazing ability to teach you how to eat healthfully without making you feel deprived. I have lost 23 pounds so far and I’m not going to quit! This is not a diet; this is my brand new life. I now always look forward to my meetings with Laurel and I love Natur-Tyme’s healthy food options and great environment. To think I have made this much progress in less than two months makes me so happy! Look for our future blogs about Danay so you can follow her progress!